You can’t avoid failure, but you can learn to cope and make the most of it. I’m excited to announce two new members of our team: Antony Falco (VP, Product & Innovation) and Nayla Rizk (Advisor). Back in 2014, we discussed how the market looked like on our first birthday. As we hit three years, it seems like an appropriate time to look back on those observations, and see where we are now. CEO Sanjay Mathur recently took time to discuss first steps businesses can take when becoming data driven, and why the effort is worthwhile. You can find the full interview here. In Fall 2014, Sanjay spoke about “Unlocking Business Opportunity from Big Data” to a group of former CEOs and senior business executives. This Throwback Thursday post shares some questions they had, and advice he gave. Since launching Silicon Valley Data Science, we hear three issues more often than anything else in the conversations we have with our clients: handling data overload, choosing analytic approaches, and having the right skills and resources. Let’s take a look at these. If you feel ready to start building your own Experimental Enterprise, these are some questions you need to ask of your organization, and traps you need to avoid. We’re pleased to announce some wonderful news this morning: SVDS is opening our second office, in Chicago! It gives us great pleasure to announce that a key member of the Spark team, Professor Michael Franklin, has joined our advisory board. I recently spoke about “Unlocking Business Opportunity from Big Data” to a group of former CEOs and senior business executives. Here are some questions they had. Tatsiana Maskalevich, Data Scientist, and Rachel Poulsen, Data Scientist, will be presenting at the inaugural Women In Statistics conference. John Akred, CTO, and Stephen O’Sullivan, Distinguished Architect, will be presenting at StampedeCon. We recently celebrated our first birthday here at Silicon Valley Data Science. What should you do with data? That’s the overwhelming question facing industry today. We created our company to help bring data-driven innovation from Silicon Valley to the business world. CEO Sanjay Mathur takes part in a panel with other leading experts from both within and outside the EDA industry, who will share their perspectives on Big Data strategy and implementation. 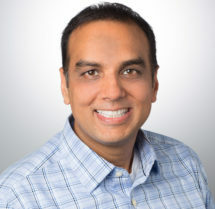 CEO Sanjay Mathur will be presenting on how to build an Experimental Enterprise. CEO Sanjay Mathur will be in Boston this year, talking about SVDS and meeting other executives. Let us know if you’ll be attending. Sanjay Mathur, CEO and cofounder of SVDS and Scott Kurth, VP of Advisory Services, will discuss what you can do to begin leading a change in how data is used inside your organization. The Data in Practice track focuses on modern techniques for efficient execution of your data strategy. Register now!